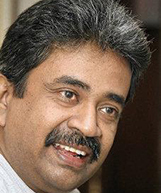 Dr Vinya Ariyaratne is the General Secretary of Sarvodaya and also a lecturer in Community Medicine Faculty of Medical Sciences University of Sri Jayewardenepura in Sri Lanka. He is a Medical Doctor by profession. Joseph Assan is currently an Assistant Professor of International Political Economy of Sustainable Development in the Heller School for Social Policy and Management, at Brandeis University. Joseph Assan holds a PhD from the University of Liverpool, UK. Until his recent appointment at Brandeis University, Joseph was an Assistant Professor of Development Practice at Trinity College Dublin where he acted as the associate director of the Masters in Development Practice Programme which was jointly run by Trinity College Dublin and University College Dublin, Ireland. Prior to this, Dr Joseph Assan served as the Director of the International Development Programme at the University of Liverpool. He previously worked as lecturer in Development Studies at the University of East London, UK. Joseph has extensive field research experience in international development policy and practice and has worked as a project officer with organisations such as the Global Hunger Project New York. He has published in numerous international peer reviewed journals including Foreign Affairs, Journal of Sustainable Development, Journal of International Development, and International Development Planning Review. He has recently carried out research on the interaction between sustainable livelihoods, environmental variability/climate change and household well-being within the context of poverty reduction. Over the years, Joseph has developed teaching skills and research expertise in the field of political economy of international development with an interest in the interaction between development theory, policy and practice in Africa and Asia. Dr. Joseph Assan was recently invited to speak on Capitol Hill, discussing how to sustain Africa’s current growth and reduce inequality. He has also participated in various international high level fora including recent meetings at Brookings Institution, Washington DC, focusing on USA, China and Africa relations, Internal Displacement and Vulnerability among others. Joseph served as a member of the scientific council of the Development Studies Association of UK and Ireland for over seven years. He currently serves as a board member of Boston Network for International Development (BNID). Diana Bowser has 15 years of experience in health system analysis related to health economics, health policy, and using econometric methods to evaluate health system changes in Latin America, Africa, and the United States. She is especially interested in health system issues and research related to health financing, poverty, catastrophic health payments, implementation, evaluation, income inequality, quality improvement, human resources for health, decentralization, and resource allocation in the health sector, and health and economic growth. She has provided technical assistance and conducted research with grants and funding from USAID, DFID, WHO, the Global Fund, Save the Children, Bill and Melinda Gates Foundation, IADB and the World Bank. She has worked closely with the following governments on these policy issues: Rwanda, El Salvador, Nicaragua, Honduras, Belize, Saint Lucia, Dominica, Ethiopia, Ghana, Namibia, Swaziland, Ukraine, Kosovo, and Bangladesh. Dr. Bowser earned her BA from the Harvard College, her MPH from Yale School of Public Health and her Doctor of Science in health economics from the Harvard School of Public Health. She is fluent in Spanish and has lived in Latin America. 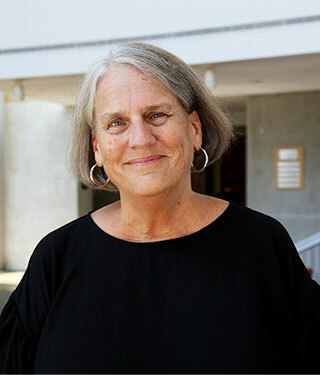 Dr. Joan Dassin is Professor of International Education and Development and Director of the MA Program in Sustainable International Development (SID). She comes to the Heller School after spending the 2013-2014 academic year at the Centre for Latin American Studies and St Antony’s College, University of Oxford, where she conducted research on how educational opportunity for young people in the developing world leads to personal empowerment and social transformation. The study is based on her experience as the founding Executive Director of the Ford Foundation International Fellowships Program (IFP), a global scholarship program that operated from 2000 to 2013. IFP enabled more than 4,300 social justice leaders in Africa, Asia, Latin America, the Middle East and Russia to pursue graduate-level studies at the world’s top universities. In June 2011 Dr. Dassin received the Marita Houlihan Award for Distinguished Contributions to International Education from NAFSA: Association of International Educators, an independent organization with more than 10,000 members. Dr. Dassin previously served as the Ford Foundation’s Regional Director for Latin America and Country Representative, Brazil Office, based in Rio de Janerio. She has given many interviews in national and international media and has published articles and books on social justice in international education, youth leadership development, human rights, and freedom of expression. Dr. Dassin has held academic positions at Columbia and Fordham Universities and at Amherst College. She earned a PhD from Stanford University in Modern Thought and Literature and has been the recipient of three Fulbright Scholar Awards for teaching and research in Brazil. Professor Ellsworth teaches courses in Project Planning and Implementation, Sustainable Agriculture and Watershed Management, and Practices and Economic Tools for Sustainable Forestry. His work focuses on restoring ecosystems through strengthening watershed management institutions and improving forestry, grazing and agricultural systems. He has consulted on forest, watershed and river restoration projects in Mexico, Massachusetts, Connecticut and Vermont. He currently works on agricultural extension and Payment for Watershed Services (PWS) in Mexico. He is a graduate of SID (‘07) and holds a MS in Forestry from the University of Massachusetts Amherst and a BS in Wildlife Biology from Montana State University. A social scientist (B.A. from the Universidad Catolica del Peru, 1976) and an anthropologist (Ph.D. from the University of Florida, 1998), Cristina worked for 25 years as a researcher and program manager in sustainable development, with social groups as diverse as goat herders, poor farmers in the Andes and the Amazon or migrant rural workers in large sugar mills on the coast of Peru. She focused on the links between gender, livelihoods as adaptive strategies to natural environments and changing macroeconomic contexts, and the role of culture and ethnicity maintaining or contesting social hierarchies. Her professional experience ranges from working within a small NGO she co-founded in Peru to heading the Global Social Policy Program for IUCN, an international conservation organization with operation on five continents. She has taught for more than ten years within international graduate programs in the USA and her courses at the MA in SID at the Heller School include: Gender & development, Gender & globalization, Gender & the environment, Gender Analysis, Indigenous peoples & development, Education, gender & development, Shifting development paradigms, Development in Latin America and Interdisciplinary applied research design for development. Cristina's publications include books like Unveiling Differences, Finding a Balance (IUCN, 2004), Desenredando el Laberinto (IUCN, 2002) Migracion, Familia y Socializacion: los cortadores de cana de azucar de Patapo-Pucala (CE&DAP, 1987), more than 15 articles in peer-reviewed journals, in addition to book chapters and technical reports. Mari Fitzduff brings more than 20 years of experience in coexistence policy development, practice and research to the program. From 1990 to 1997, she served as chief executive of the Northern Ireland Community Relations Council, which was at the forefront in developing governmental policies and local community programs to tackle many decades of violent conflict. More recently she served as director of UNU/INCORE, a United Nations University center and one of the world’s leading organizations for research on conflict. The center was based at the University of Ulster, where she was chair of conflict studies. Fitzduff has served as a consultant and trainer on conflict programs in the Middle East, Sri Lanka, Indonesia, the Basque country and the CIS states. She is frequently tapped by governments and international organizations as an international expert on issues of conflict and diversity. Her many publications include "Community Conflict Skills: A Handbook for Anti-Sectarian Work"; "Beyond Violence: Conflict Resolution Processes in Northern Ireland," which won an American Library Association Notable Book award; and "NGOs at the Table," with Cheyanne Church. She is also coeditor of the three-volume series "The Psychology of War, Conflict Resolution and Peace." Stephen F. Fournier has been teaching statistics, econometrics and IT courses across all five programs at Heller since 1996. Stephen's extensive IT knowledge includes both hardware and software. He currently teaches using Stata, but is also relied upon to answer and instruct in SPSS and/or SAS. His particular skills are associated with large data sets and he has developed, created and maintained a number of large databases for various research projects in the school. He has significant expertise in causal modeling (multiple regression, logit, multinomial logit, survival analysis, linear mixed models, etc.) He has also been a regular lecturer for various econometrics courses at the Royal Institute of Technology in Stockholm (KTH - Kungl Tekniska Högkolan) since 1990. Dr. Godoy is a cultural anthropologist who draws on insights from evolutionary biology and economic theory to formulate hypotheses about the effects of market exposure, globalization, or modernization on the well-being and the use of natural resources of indigenous people. He collaborates with biological and cultural anthropologists from Northwestern University, the University of Georgia, and the Universitat Autònoma de Barcelona in a study called the Tsimane¿ Amazonian Panel Study (TAPS). The research team carries out annual survey waves in which they measure a wide range of socioeconomic, demographic, health, and psychological indicators. Besides Bolivia and the study of globalization, he has done and continues to do randomized control trials of a wide range of interventions among native Amazonians in Bolivia. Laura Goldin is Professor of the Practice at Brandeis University, Associate Director of the Environmental Studies Program, Director of the Environmental Internship Program and an award-winning teacher. Her courses and programs have helped lead the way in developing hands-on experiential learning that engages students directly in tackling current challenges in meaningful and sustaining collaborations with community partners. Ms. Goldin came to Brandeis with more than 20 years’ experience as an environmental attorney in government, industry, public interest, and private law practice. Her work has addressed a broad spectrum of environmental issues, from hazardous waste and air and water pollution to occupational health and safety, toxic exposure, and land use regulation. She has argued precedent-setting environmental case law, and has helped to craft a number of emerging environmental protection laws and regulations. Professor Holcombe's teaching and publication builds on a career of practice and a focus on building capabilities for human development. She was Program Director for Oxfam America and has served in various positions with UNFPA, UNIFEM and UNICEF in New York and in multiple field postings. She has participated in or led field evaluations and assessments for Ford Foundation, UNFPA, UNICEF, UNDP, World Bank and the University of the South Pacific. 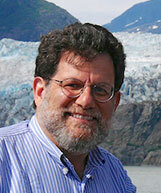 Currently Professor Holcombe teaches in the MA Program in Sustainable International Development. She has taught a range of courses including Frameworks for Development; Demographics of Development; Governance and Development, Managing Policy and Practice Change in Health Systems and an online, inter-university course, Aligning Policy and Practice with Development Goals and Values. She assists the The Poverty Alleviation Fund (www.tpaf.org) with program planning and monitoring. Marion Howard lived in the San Andres Archipelago, western Caribbean, for more than 25 years, where she worked with Colombia's national environment system. For 16 years she served as advisor to the government's environmental protection and sustainable development agency for the archipelago. She coordinated development of Colombia's first multiple-use marine protected area (Seaflower MPA), led the planning process to establish the UNESCO Seaflower Biosphere Reserve, and was on the team of Colombia's national climate change adaptation program (INAP). Recently she worked with the Inter American Development Bank on a project to conserve marine biodiversity in the Southwestern Caribbean and with Colombia's Ministry of Environment and Sustainable Development to improve marine conservation policy and climate change adaptation for the coastal zone. Ms Howard has worked on community-based conservation and coastal/marine research projects with multilateral, bilateral, and UN agencies; international NGOs; governments; and universities. Mediator and negotiation expert, Alain Lempereur is the Alan B. Slifka Professor and Director of the Coexistence and Conflict Program at The Heller School for Social Policy and Management. He is an Affiliated Faculty and Executive Committee Member of the Program on Negotiation (PON) at Harvard Law School. He published a dozen books, namely the bestseller "The First Move. A Negotiator’s Companion" that appeared in many languages. His PON research promotes responsible negotiation and leadership. He is the chair of the scientific committee of the Humanitarian Negotiation Exchange (HNx), a project of the International Committee of the Red Cross and of the Harvard Kennedy School's Future of Diplomacy Project. Alain was a visiting professor at Harvard Law School. He also taught at the Afghan Institute of Diplomacy, the Cameroon Institute of International Relations, the Cyprus International Institute for Management, the Fletcher School of Law and Diplomacy (Tufts University), the Lebanese University, the UN-mandated University for Peace, the Universities of Brussels, Corsica, Mannheim, Mons and Paris II and V, and ENPC-ParisTech. I am a broadly trained ecologist with a PhD in evolutionary biology and ecology, specifically in the ecology of "tri-trophic" interactions: host plants, the insects that feed on these plants, and the wasps, birds, and other predators that feed on those insects. I have a Masters in Forest Science as well, with a focus on the design and management of tropical parks and conservation areas; in this interest area I have developed some expertise in the way a particularly "enlightened" form of travel known as ecological tourism, or ecotourism, can aid conservation efforts. My main contribution here in the Sustainable International Development Graduate Program, with its remarkably diverse student body (over 60 nations represented in a typical year) is in teaching of basic scientific literacy to adults from an unusually broad range of educational, cultural, and language backgrounds. It is a unique challenge to do this in a way that does not stifle those with strong English skills and a ready grasp of scientific concepts, while also not losing those students that find many of these ideas completely foreign. I also teach courses in water & sanitation, climate change, ecotourism, environmental impact assessment, and environmental health. My work in biology has ranged from studying colony founding behaviors among tropical ants to helping regional conservation groups throughout the US West set priorities for land and species protection. I have also long been interested in studying human learning, and in my role as Associate Provost of Innovation in Education, I work with faculty and graduate students to explore ways that we can better help our students learn. In addition, a few years ago, I developed a Web site that freely distributes teaching materials I developed for ecology and environmental studies (www.EcoLibrary.org). Raj completed his PhD at the University of California, Irvine in the humanities where he studied under the French philosopher Jacques Derrida, the founder of deconstruction. His areas of specialization were in critical theory, phenomenology, post-structuralism, deconstruction, the philosophy of history, historical time and epochal shifts. Subsequently, he did a postdoctoral fellowship at the University of California, Berkeley and a D.A.A.D. research scientist fellowship in Germany where he published articles in continental European philosophy. From 2006-2009, he was an adjunct lecturer at the University of California, Santa Cruz, and continued to serve on the Provost Council for College Eight at the University until June 2012. His current research interests and disciplinary expertise include the following: twentieth century Anglo-American and European moral and political philosophy, theories of modernization and social-historical change, epistemology and the sociology of knowledge in comparative religious studies, and comparisons of Western philosophy and traditional African, Indian and Chinese philosophy. Teaching interests include the Anglo-American, European and Global South traditions of philosophical ethics and theories of justice when applied to sustainable development issues. Donald S. Shepard, Ph.D., is Professor at the Schneider Institutes for Health Policy at the Heller School, Brandeis University. Director of the Institutes' group on cost and value, he is a health economist concerned with maintaining and improving health the United States and internationally. His major concentrations are cost and cost-effectiveness analysis in health, health financing, and performance incentives. Substantive areas concern malaria, cardiovascular disease, HIV/AIDS, dengue, lymphatic filariasis, vaccines, measurement of the quality of life, and control of mosquitoes, and oral health. He has been a regular member of initial review groups rate grant applications for the National Institutes of Health in health services and HIV/AIDS. Laurence Simon is Professor of International Development and Director of the Center for Global Development and Sustainability. He was the Founding Director of the Graduate Programs in Sustainable International Development from 1993 to 2014 and served as the Associate Dean for Academic Planning at the Heller School for Social Policy and Management from 2003 until September 2009. Simon also serves as Visiting Faculty from Abroad in the Master of Public Policy program of the National Law School of India University, Bangaluru. Simon’s research and teaching center on critical issues of social exclusion and emancipatory development. His current research focuses on psychological and cultural barriers to poverty reduction and on the role of social movements in development. In 2007, he took a leave from Brandeis to serve as the senior adviser on global poverty to the executive director of the Google Foundation. He has also been a Visiting Scholar at the Freeman Spogli Institute for International Studies at Stanford University. ANDREAS TEUBER studied philosophy at Oxford with Paul Grice and at Harvard, where his Ph.D. advisors were John Rawls ("A Theory of Justice") and Robert Nozick ("Anarchy, State and Utopia"). He is currently an Associate Professor of the Department of Philosophy and served as its Department Chair from 2005-2010. His scholarship encompasses the internationalization of human rights, issues of social inequality, risk analysis, the nature and limits of democratic forms of deliberation, civic participation and renewal, cosmopolitanism, and the relation of U. S. Constitutional Law to international covenants, understandings and agreements as well as the relation of decisions of the U.S. Supreme Court to the opinions of international courts and tribunals. Sabine von Mering teaches German Language, Literature, and Film. She is also a member of the core faculty in Women's and Gender Studies. Her most recent scholarly work focused on right-wing extremism. She is currently working on the role of climate change as a challenge for the humanities. As Director of the Center for German and European Studies she organizes lectures, conferences, and cultural events in the interest of promoting transatlantic dialogue.